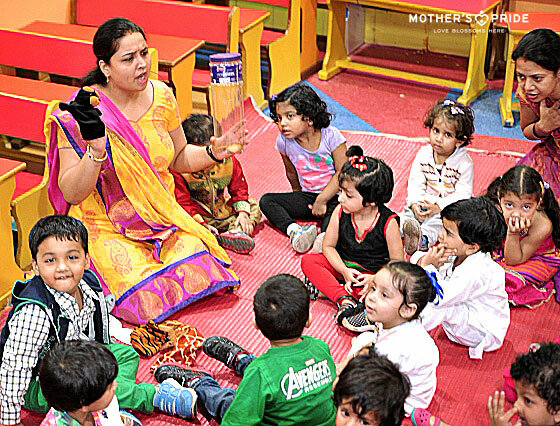 To encourage and develop expression and vocabulary among children; the teachers at Mother’s Pride school narrated the story of Mousy the Mess with the help of a mouse puppet and voice modulation to create interest of children in the activity. 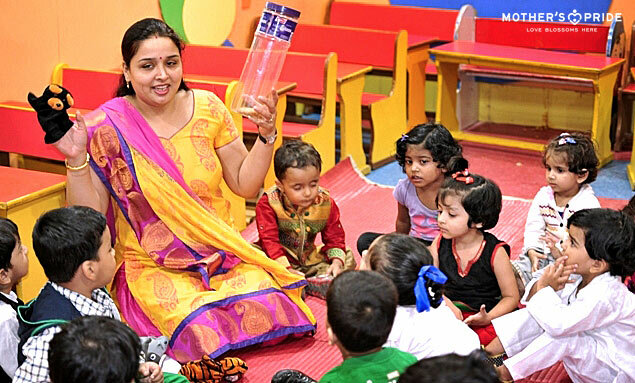 To encourage communication between the teachers and children, teachers asked questions like ‘who created the mess?’, ‘how did the mouse created the mess?’ etc. 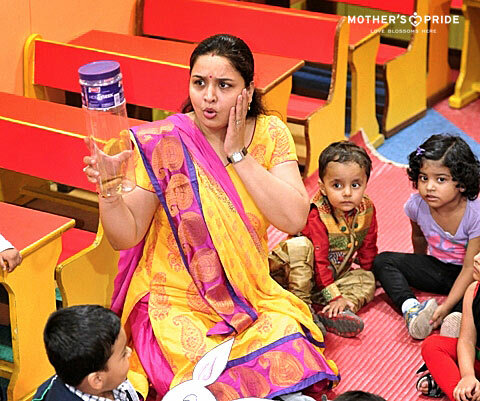 Children also shared their own experiences of how they create a mess at home at times. 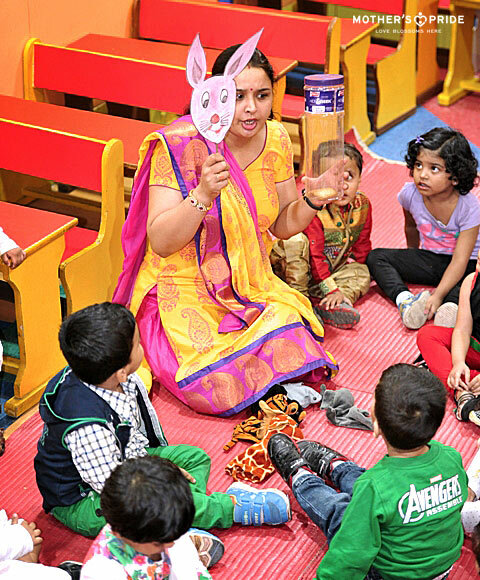 This activity overall helped the children to develop self-expression and vocabulary with listening comprehension skills.